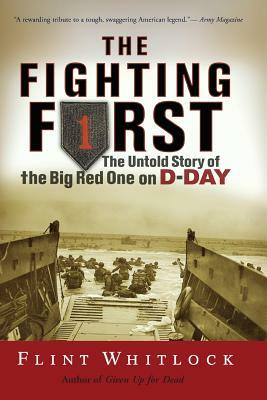 The Fighting First recounts the untold story of the 1st Infantry Division's role in the invasion of France at Normandy. Using primary sources, official records, interviews, and unpublished memoirs by the veterans themselves, Flint Whitlock has crafted a riveting, gut-wrenching, personal story of courage under fire. Operation Overlordthe Allied invasion of Normandy on 6 June 1944was the most important battle of World War II, and Omaha Beach was the hottest spot in the entire operation. Leading the amphibious assault on the Easy Red” and Fox Green” sectors of Omaha Beach was the U.S. Army's 1st Infantry DivisionThe Big Red One”a tough, swaggering outfit with a fine battle record. The saga of the Big Red One, however, did not end with the storming of the beachhead, but continued across France, Belgium, and into Germany itself, where the division fought in the battles for Aachen, the Huertgen Forest, and the Battle of the Bulge. The Fighting First is an inspiring, graphic, and often heart-breaking story of young American soldiers performing their missions with spirit, humor, and determination.